An alliance of regional parties would be the worst outcome, knocking the market down 7.5 percent in the vote's immediate aftermath, according to the poll replies. The tepid outlook for Indian stocks also stems from a slowing domestic economy that has dampened investors’ interest in already over-valued stocks. How Indian shares fare this year will depend heavily on the outcome of national elections in May, with market experts polled by Reuters saying a majority win for the ruling party would be the most favourable outcome for equities. Since hitting a record high of 38,989.65 on Aug. 29, the BSE Sensex index has fallen roughly 8 percent. This year, it is down about 0.3 percent, as there has not been the kind of recovery from late 2018’s deep equities sell-off that other major stock indexes have had. The absence of a 2019 rally partly driven by increasing uncertainty before the election, reflected in a second consecutive cut to 2019’s outlook in the latest quarterly Reuters poll of 50 equity strategists. The polling was conducted Feb. 13-26, before the escalation in tensions between India and Pakistan after both sides said they shot down each other’s fighter jets. The BSE Sensex is forecast to gain 2.7 percent to 36,960 by mid-2019 from Tuesday’s close of 35,973.71, just a touch lower than the 37,000 predicted three months ago. The index is then expected to rise to 37,975 by end-2019, a downgrade from 39,400 forecast in November’s poll. Late last year, the ruling Bharatiya Janata Party (BJP) lost power in three key states, handing Prime Minister Narendra Modi his biggest electoral defeat since he took office in 2014. “Despite the recent state election outcomes, the base case assumption continues to remain, with the incumbent party coming back to power for another term,” said Hitesh Agrawal, retail research head at Religare Broking. But at best, Indian stocks are forecast to only recoup losses they incurred late last year. If the BJP wins a majority of seats, that would help the BSE Sensex gain over 7 percent in the election’s immediate aftermath, according to strategists who answered an additional poll question. However, if BJP falls short of a majority and has to form a coalition to stay in power, Indian stocks are expected to rise only half that much. If the Indian National Congress (INC) party wins a majority, Indian shares were predicted to rise about 2 percent immediately after the election. 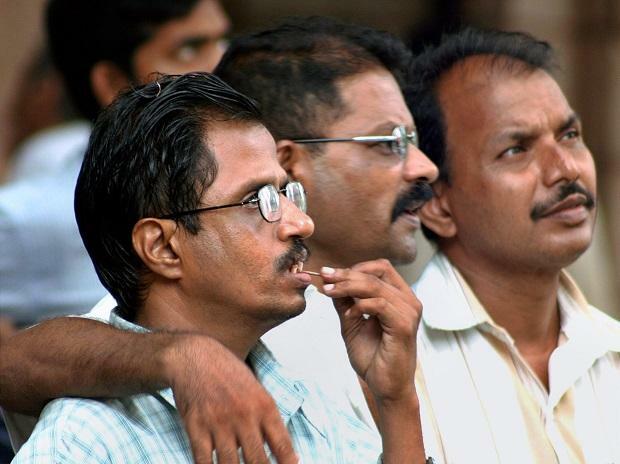 But the BSE Sensex is forecast to fall 3 percent if a INC-led coalition forms the next government. An alliance of regional parties would be the worst outcome, knocking the market down 7.5 percent in the vote’s immediate aftermath, according to the poll replies. Rajat Agarwal, Asia equity strategist at Societe Generale, said the equity market “is sanguine about politics at this point”. India’s economic growth likely slowed again in the final three months of 2018 after a worse-than-expected performance in the prior quarter. The October-December growth number will be reported later on Thursday. The Reserve Bank of India, which surprisingly cut interest rates on Feb. 7, is widely expected to cut them again in the coming months according to a separate Reuters poll. That could also provide a boost to the market. Nearly 90 percent of strategists who answered a separate question said earnings growth, which has failed to rise at a significant pace over the past four years, will improve. Societe Generale’s Agarwal called the elections a “risk event for equity markets in the near-term.” But study of past ones “suggests that beyond the short-term reaction, the equity markets align themselves to the trajectory of corporate earnings,” he added.